DJ Berny (Shawn Bernstein) was born in Toronto, Canada. His passion and love for music all began at the very young age of 6, performing for friends and family with his toy guitar. As the years passed his interest for music had changed courses and led him in a new more interactive and hands on direction. Purchasing his first CD players and mixer at the young and innocent age of 11, meant this future DJ’s focus had begun to transpire. Spending endless hours exploring and familiarizing himself with his newly invested equipment and various music genres, Shawn developed his technique that is now considered alongside some of the most recognized. At the age of 13, Shawn was now ready to explore his natural talents for djing, beginning with small parties for friends and relatives. It didn’t take long to catch on before Shawn had found himself networking with some of the best in the business. Dubbing himself “DJ Berny” meant a new milestone in this young teens career, spawning an identifiable brand known to many. Spending years working for some of Toronto’s most recognized entertainment companies, DJ Berny slowly constructed a contact list to enhance his network base creating a solid foundation for this young new DJ’s future. With an abundance of DJ’s in the world, DJ Berny has branded himself to understand the demanding needs of his clients while at the same time understanding that every party requires a unique, individual and tailored approach. His unique style with extensive song selection will truly guarantee an event to remember. Having experience in scratching, beat matching, beat juggling, live mash-ups, party rocking and a constant flow of music catered to your needs, there is nothing this DJ cannot do. This is undoubtedly due to DJ Berny’s extensive music catalogue including dance, euro, 80’s and 90’s extending all the way to top 40, hip, hop disco, funk, rock and roll and more. 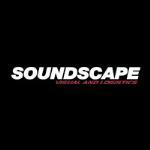 Being able to effectively “reach the crowd” is essential to the success of any DJ. With that being said DJ Berny has continuously proven his strong ability with his vast roster of past events. While his career just beginning, his extensive roster of previous events include; The Genie Awards, The Gemini Awards, Toronto Raptors Ford Zone, The Midway State’s Summer tour, Snoop Dog Summer Concerts in Muskoka, The Fame! Movie premiere and after party, Drew Barrymore’s Whip It movie premiere, The Official Toronto International Film Festival Launch Party of 2009, The Offical Georgio Armani Luminato Party and much more. He has also played at many of Toronto’s most prestigious clubs including Lobby, Tattoo, Schmooze, Inside and Toronto’s world famous Guvernment nightclub. Rest assure, when you see DJ Berny, you’ll be sure to find a pair of funky shoes, his signature macbook and one rocking good time! 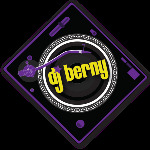 Look out for DJ Berny at an event near you!